HOW DO WE ENSURE YOU’RE COMPLIANT AND RELEVANT? Talking about the things your students are learning in school does so much more than tick an OFSTED box. But you do need a compliant school website (both for Ofsted and GDPR). they need, to understand more about your school or college. 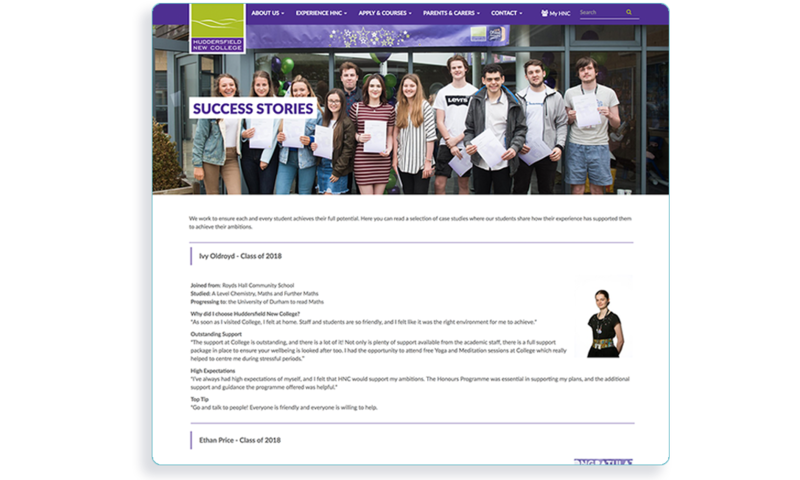 Your school website software should provide you with unique, tailor made features to achieve this. 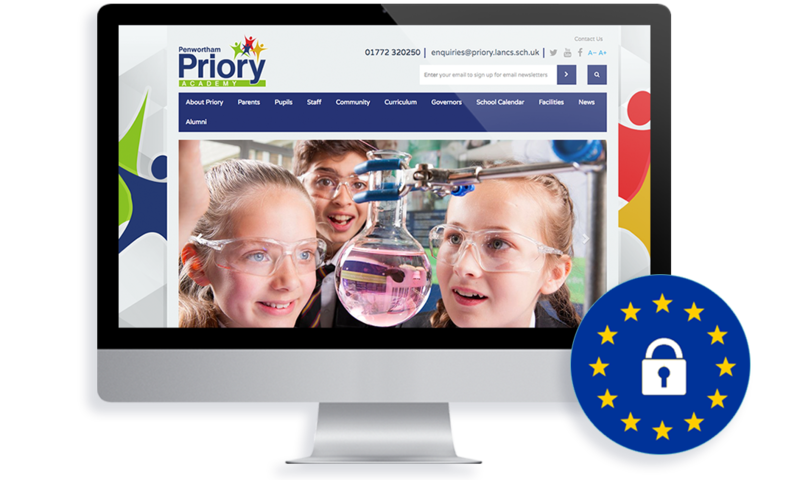 We provide access to our School Website Requirements Checker as part of every package we offer. 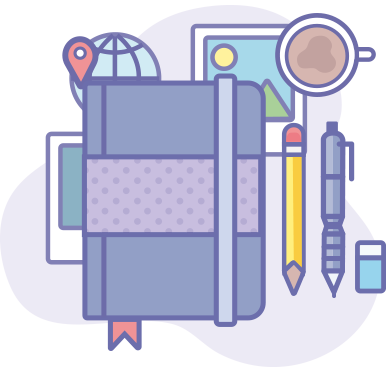 The tools gives you unique power to manage your compliance all year round and is a critical part of your website. That's backed up by expert views, advice and insights into every aspect of compliance. As of May 2018 new legislation makes it imperative that all organisations comply with data protection rules. Schools and colleges aren't exempt. Through robust practices, training and ongoing education of our clients we offer an unrivalled compliance package as standard. 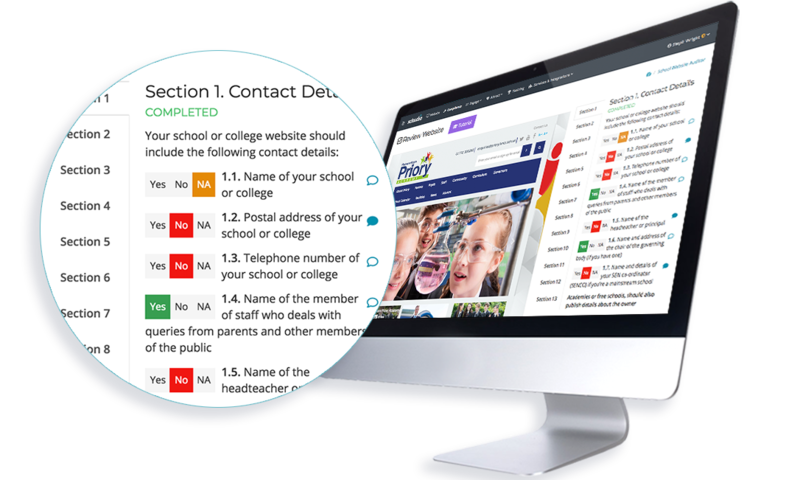 You can be assured of a GDPR compliant school website if you partner with Schudio. 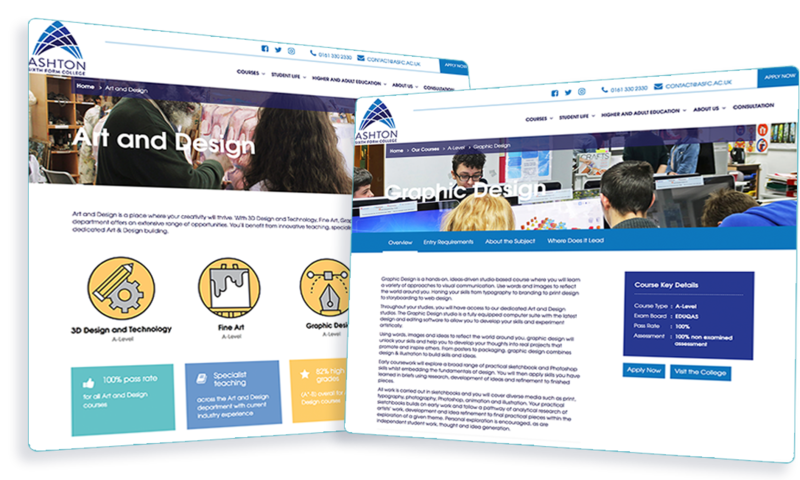 The promotion of your courses and the explanation of your curriculum couldn’t be easier to manage through our bespoke software. 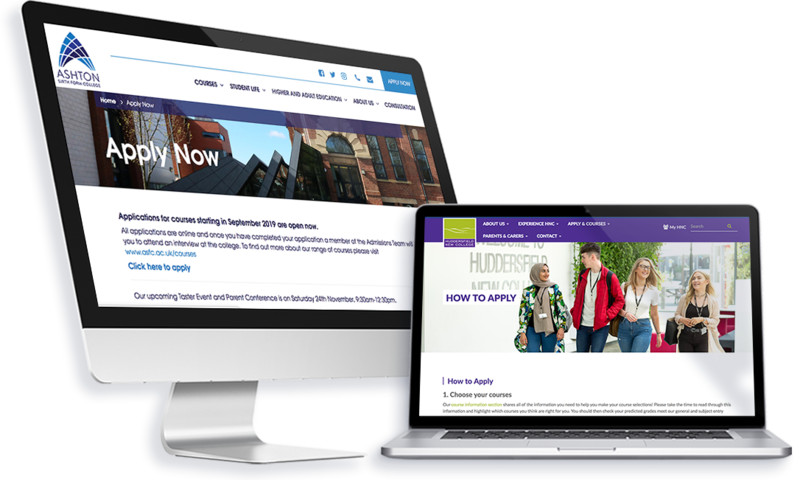 You have full control over all the sections and levels within your website so that you can put the information that your visitors need in their hands, in a format that is easy to understand and engage with. Actively promote and engage potential students through our advanced course promotion features. You can then opt in to accept applications from students through our unique and powerful Applications & Admissions System. Nobody can say it better than those in the know. 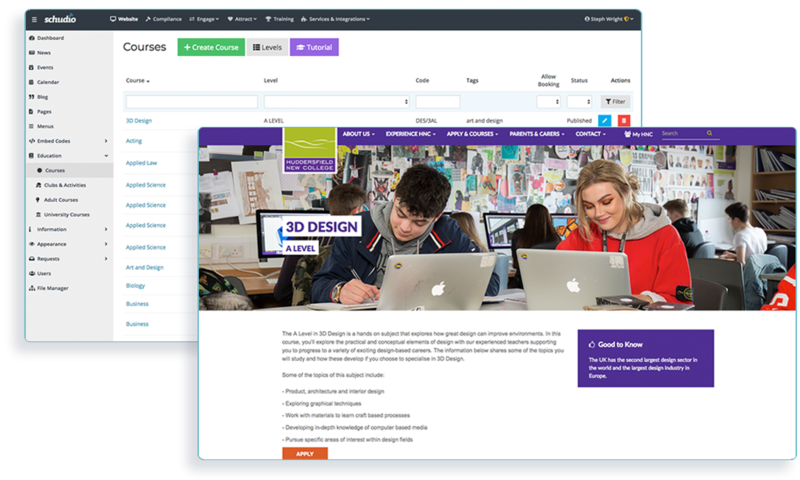 Why not add profiles of students and tutors to your Curriculum and Courses pages, linked specifically with the subjects they’re involved with, to enrich the picture you paint of life as a learner in your school or college. Coming from a marketing background, walking potential students through an application process is something we’re experts in. Large percentages of potential students don’t fully complete application forms currently available and another chunk see their application through to enrolment. Keep them focused on your school or college through our advanced systems and support services. 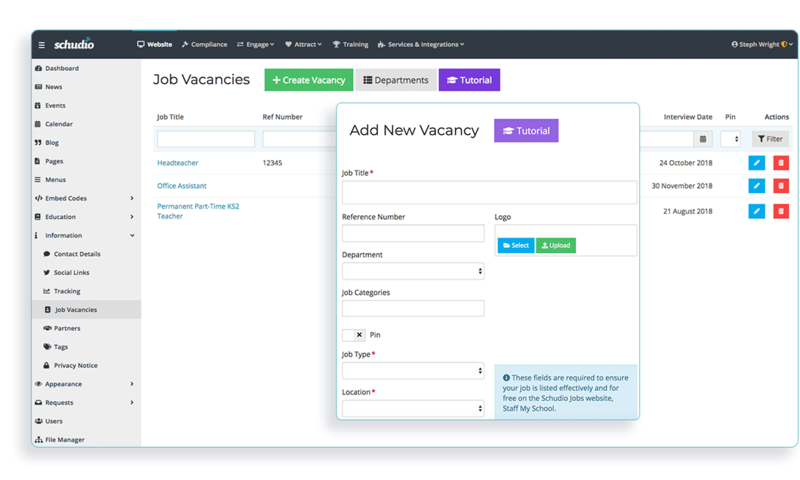 Through our Job Vacancies feature you can advertise your jobs quickly, easily and effectively. What’s more, through our partnership with Innovate My School, we’re able to offer additional exposure for your jobs through a range of packages. These start at no additional cost and go through to fully managed recruitment advertisement suites.